FTP is an acronym for File Transfer Protocol . 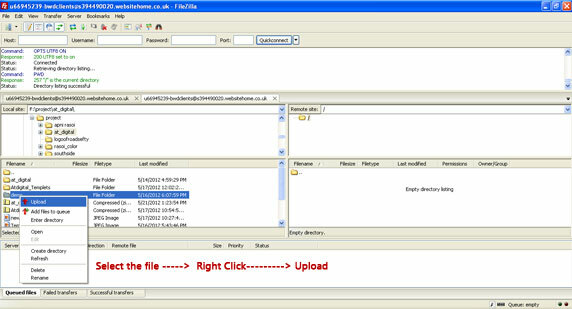 As the name suggests, FTP is used to transfer files between computers on a network. 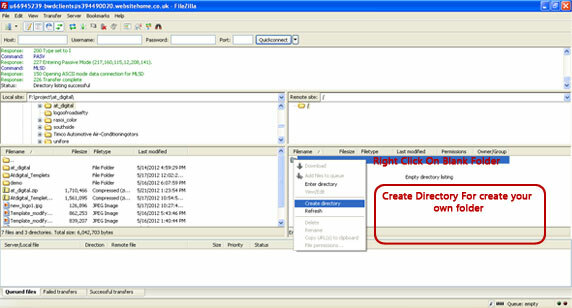 You can use FTP to exchange files between computer accounts, transfer files between an account and a desktop computer, or access online software archives. User I.d:Now you have to fill up with your User I.d to proceed to the next step. 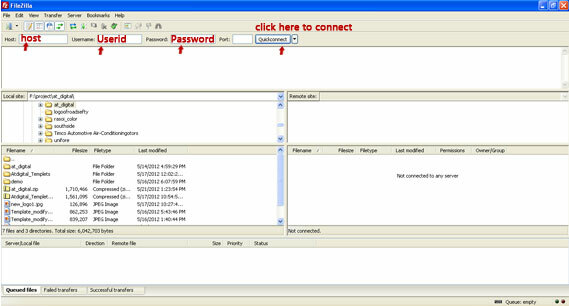 Password:Now you have to enter your password and click the connect button to proceed. Click on the new folder icon available on the top most level to create your own folder. Now,your new folder will be created. To upload click on the select the file option. Now right click on the file you wanted to upload. Now the file can be uploaded.